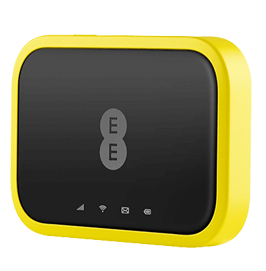 Get a great price on one of our EE mobile WiFi deals, so you can connect your laptop, tablet and other devices on-the-go. Mobile WiFi lets you browse your favourite sites on-the-go, at blistering 4G speeds, so you don’t have to trust slow, unsecure public WiFi. You can connect your entire family at once, with up to 10 simultaneous connections supported. And it’s a much better experience than tethering from your mobile, which can drain your data and battery, throttle the internet speed, and prevent you from texting and calling.